- 100% real human hair, virgin Remy hair, high quality. - Shiny, silky, smooth and soft hair. - Full cuticle in the same direction from top to bottom, no short hair inside. - Easy to bleach, dye or style with a long lifespan. - Thin seam and reinforced weft, very tight and neat. - Unprocessed, tangle-free, no shedding, no chemical, no lice, no nits, etc. 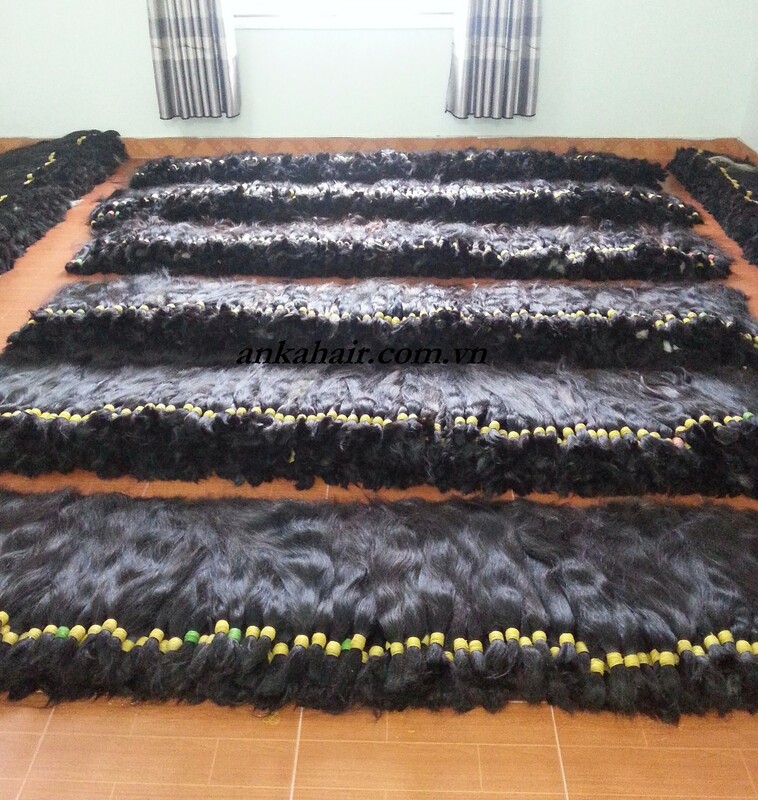 Stock Abundant stocks available, normally natural straight, body wave, deep wave, curly. 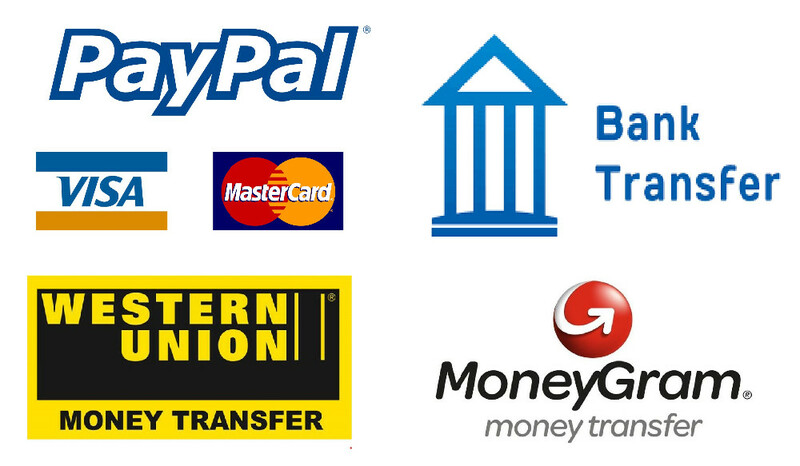 Minimum order We accept samples order with any quantity. 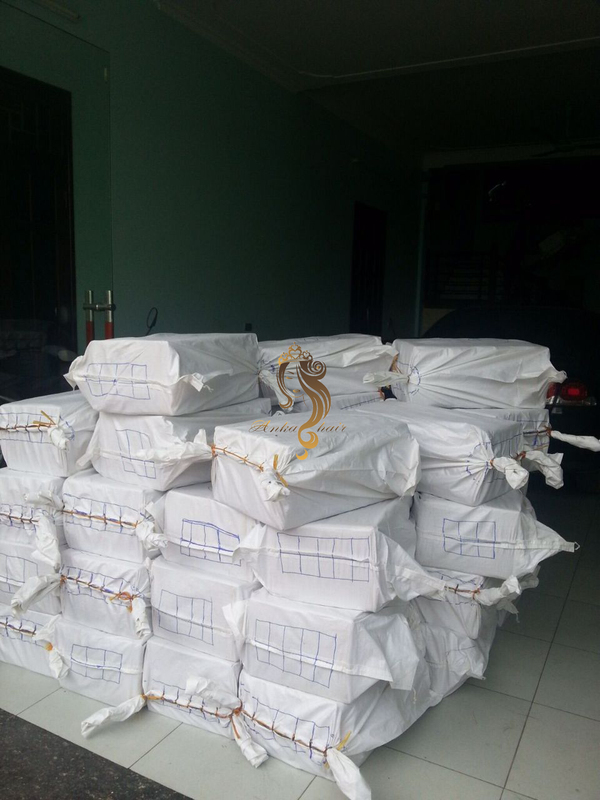 Delivery time Stocks in 24 hours. A large quantity of hair within 3 – 5 days. 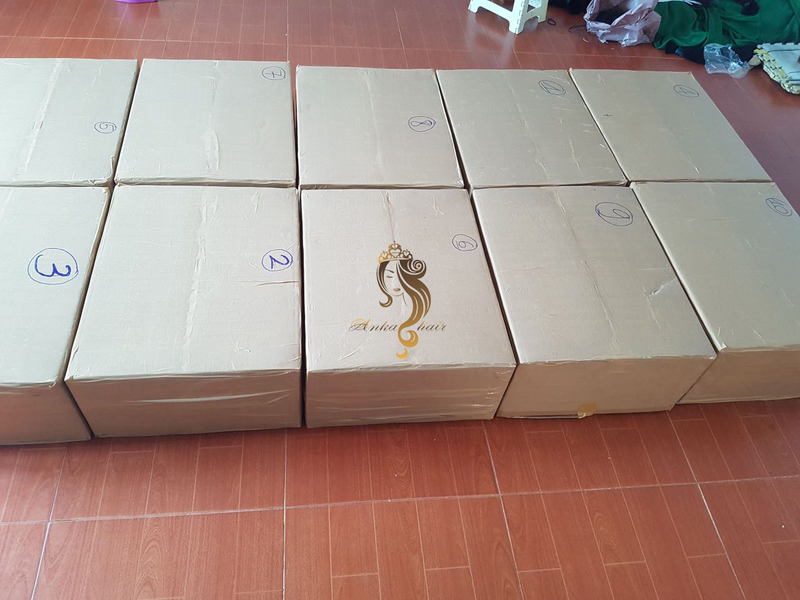 Shipping provider DHL, UPS, EMS, FEDEX, AIRLINE, ETC. - PACKING: Products will be packed in a plastic bag, then in carton box. 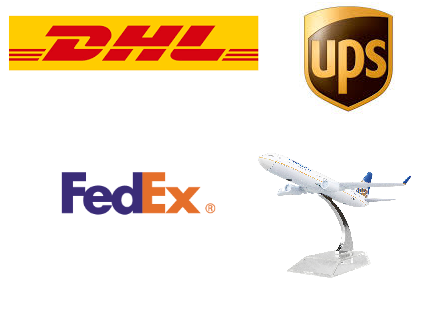 - SHIPPING PROVIDER: DHL, UPS, FEDEX, EMS, AIRLINE, etc. - AVERAGE LEADING TIME: 3 – 5 days. 24/7 availability, responsive contact via hotline, email, WhatsApp, Skype by multi-language sale support team. 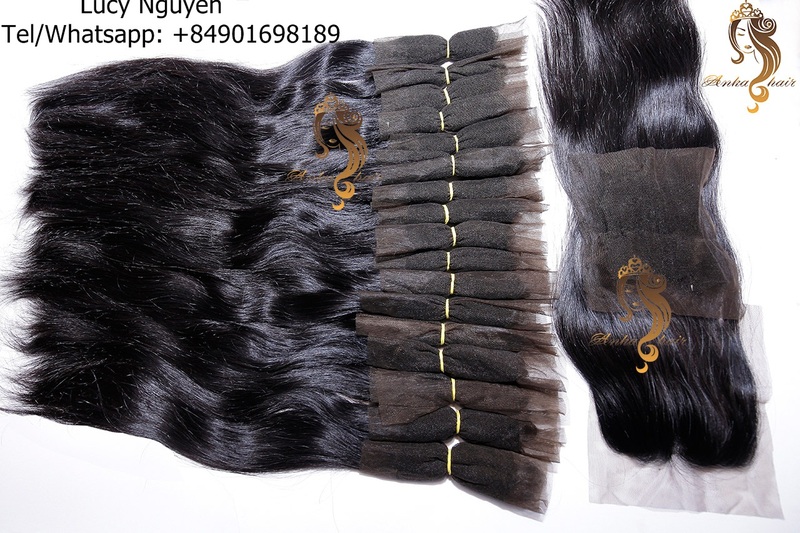 Over 10 years experience in Human Hair industry, Anka Hair JSC is the leading hair manufacturer in Vietnam with finest quality and premium services dedicated to customers worldwide. 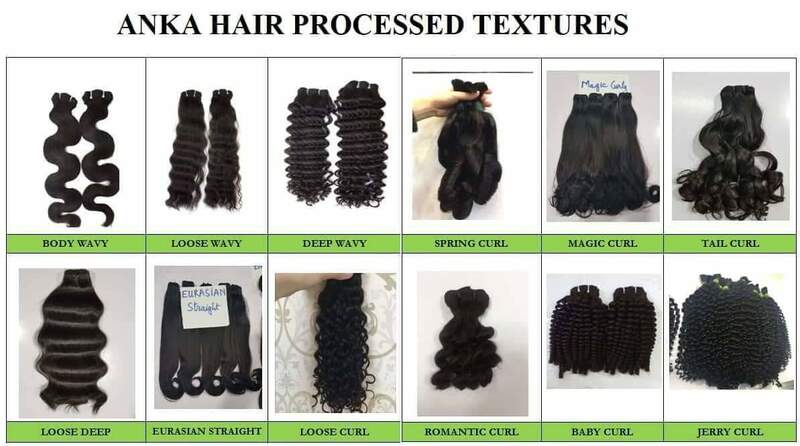 We offer a wide range of virgin hair products including 100% unprocessed Remy woman hair (pure virgin hair), slightly processed natural hair (machine weft hair, bulk hair) or perfectly produced hair (dyed hair, curly or wavy hair) or customized hair extension ones regarding color and textures upon customers’ requests. All of these products are produced by our commitment and care, utilizing the latest advanced technology and methods, at the hands of skillful workers. At Anka Hair, we love to be your trusted partner alongside your business and grow with your expansion of development. 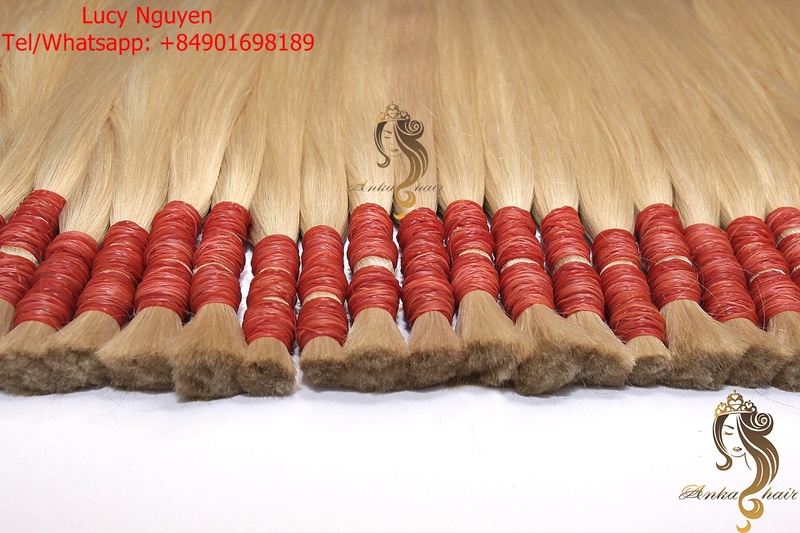 Top quality for a competitive price: No hidden fee for middleman or trader, huge capacity factory, high standard products (easy to use, long lifespan, various length, textures and color without damages to your own hair). Guaranteed customer satisfaction: customers sustainable development with a long-term partnership. Single Drawn Hair: Remy natural human hair of good quality with straight, wavy and curly textures and natural colors in various sizes from 30cm to 80cm or more. 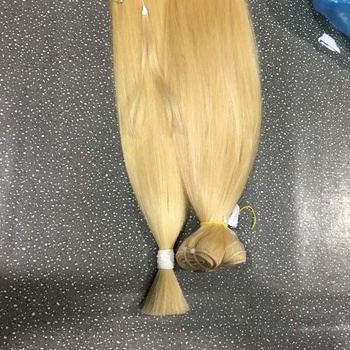 Double Drawn Hair: Remy natural human hair of better quality with straight, wavy and curly textures and natural colors in various sizes from 30cm to 80cm or more. 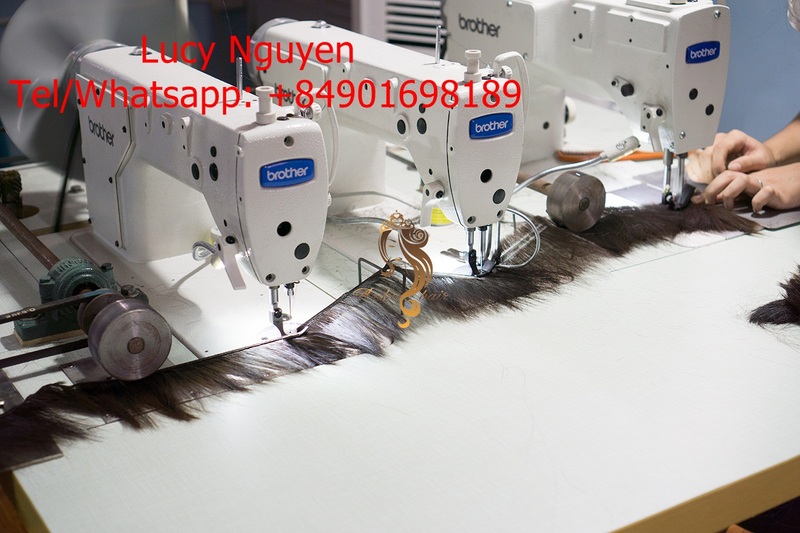 Machine Weft Hair: Various kinds of human hair with all natural colors and textures are processed with modern tools and equipment by skilled workers to produce hair products with premium quality. I – U – V – Flat Tip, Clip-In Hair, Tape Hair (Hair Extensions): Super easy to use, long lifespan, various length, textures and color. All for your hairstyle options without waxes, glues and damage to your own hair. 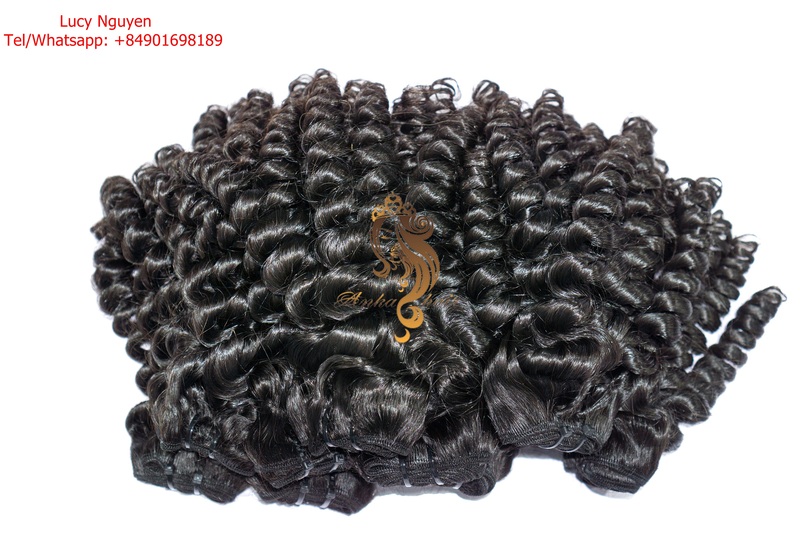 Lace Closure (Wigs): We produce wigs with 100% natural human hair of all styles, color and texture for your choice. Choose your style and make your identity to be a new you. Super high-Quality Color Hair: includes 100% natural, Remy hair with top quality which are processed by modern equipment to produce products which are natural-looking, shiny, silky, smooth and soft. Virgin Human Hair – No Mix: includes 100% natural, Remy hair cut off from one head, unprocessed, not dyed, without nits, in the same direction. 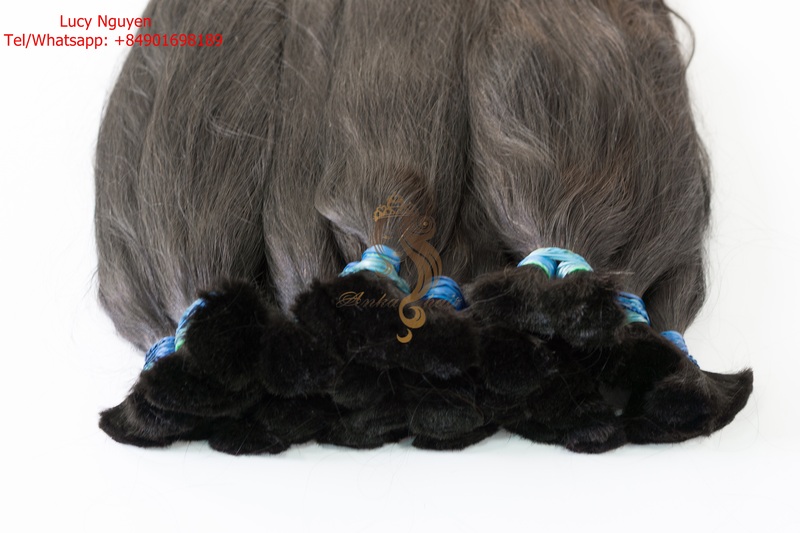 Products as Special Order (size, quality, color): As per or special requirements for the length (up to 90cm -100cm or 36-40 inches), for the quality of super good hair, for the color of natural looking beauty. Address: No. 7A, lane 850, Lang Street, Dong Da District, Hanoi city, Vietnam. Factory: Dong Bich, Dong Tho, Yen Phong district, Bac Ninh province, Vietnam.